For most people, when they hire a lighting design company, it is their first time. So what are the important considerations you should make when talking to these vendors. There are many factors involved that can make or break this experience. Keep in mind the 10 points below and you should be able to find a company to fit with your style. That is the questions. LED stands for light emitting diode, and fixtures that utilize this as their source of output give you the client multiple advantages. First of all, LED fixtures have low power consumption which means they are great for the environment. These units are also good for you since they can be computer controlled. 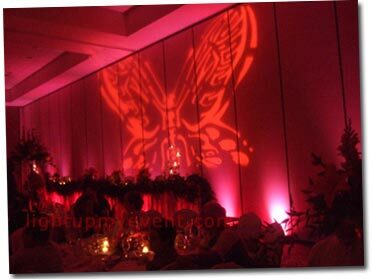 This means your lighting is not static; it is dynamic and can change colors during your event. The opposite of LED are traditional PARs. These fixtures draw high amounts of power which means theyÂ get very hot. If a little child accidentally touches the outer houses, he/she might suffer from burn injuries. Since they have such high power consumption, they are usually the culprits behind blow fuses. I’d imagine it would be pretty frustrating to have a blown fuse ruin an important part of your event. This is why reputable companies rely on LED fixtures for a majority of their lighting design applications. The more experience your vendor brings to the table the better. Not only can they give you advice from past events, but they can also give you recommendations based on your facility. The event industry is pretty small, so if you are dealing with a reputable company, then chances are they have done events at your venue before. They should be able to tell you what works bestÂ based on the halls layout. Price has always been a factor with anything in life. However, you have problem heard the phrase you get what you pay for. Just like any industry there will be those that excel and deliver what they promised and those that offer sub-par services. The more important factor is to know what exactly you are getting and for how much. Cost for lighting design usually breaks down as follow: technician fee, equipment fee. Dependent on the type of package you are going with will determine the associated fees. Just remember to ask questions during the consultation if you are considering hiring Michigan lighting designs. Clients that want specialty lighting for their event already know what they want. They have seen it in a magazine, day dreamed about it during work, probably even seen it in a movie. 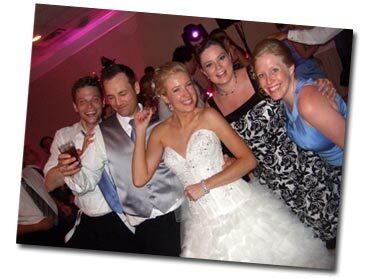 Any reputable vendor will ask you questions to find out how you want to light up your event. There is no right or wrong way to make the room look beautiful, the only way is your way. So make sure they have the tools and training necessary to give you the look that you desire. For example, if you want a ceiling wash they might have to bring out powerful moving head fixtures. Only a handful of companies in Michigan will be able to provide a quote with these units. The main concern is logistics and time intensive setups. In order to have a ceiling wash you need to elevate the moving head on truss. Now the truss needs a base plate to secure it from knocking over. Basically make sure the company you are leaning towards knows how to make your dream become a reality. Some companies are full blown lighting designers, while others are DJs that have a dozen LED pars. Either category can provide you with wall lighting, but only the lighting designer will be able to transform your room completely. This includes custom image projection, ceiling wash effects, and center piece pin spotting. Another popular service include pipe and drape for concealing sections of your venue. Will they service the area you are holding the event? Some companies have strict travel restrictions, while others are more customer friendly. Regardless of travel, it is important to know if the company has any special requests of the location. This can include early setup, locking up equipment overnight, load in directions, freight elevator access, or perimeter space for wall lighting. Talk with both your vendor and facility to work out any potential bottlenecks in advance. If you want them to provide the lighting design for your event, they have to have the date available. Larger companies will book up roughlyÂ a year out. A good question to ask the lighting company is how many events will they schedule on your date? It is important that they do not stretch themselves to thin. It is common practice for companies to have resources available for last minute accommodations. You will be able to tell a lot from the way the company carries itself. How did they answer the phone? Did they return your phone call in a timely manner? How flexible were they with setup a meeting? Is their website regularly maintained? Anyone that cares about their business will care about their clients. If there is any your can expect with events is that something will always change last minute. This isn’t necessarily bad, just different from what was originally scheduled. This happens all the time, so a flexible lighting designer will be able to adapt to last minute changes. Whether it is placing an extra fixture in the foyer, or changing the layout last minute. It is common for clients to add onto their package last minute. This tends to happen as the date gets closer, people have a better understanding of their budget. A flexible company will offer their services in-house, so you can request a last minute add on. When it all boils down to it, this is still an event. If your lighting designer is responsible for part of the success, then they should have a team mentality. The right attitude can go a long way if something changes last minute. This will also help if your other vendors start to get stressed. An experienced professional, should have no problem stepping up to the plate and helping your other vendors slam dunk the event.